Anyone who visits a physiotherapist will be nagged about improving their posture. It seems such a simple thing and so widely known however postural habits have been identified as a risk factor for injury in both sedentary and active individuals. Now we are not just talking about sitting up straight (although this is fast becoming an occupational hazard as we become more frequently chained to our desks or glued to our smartphone or laptop!). 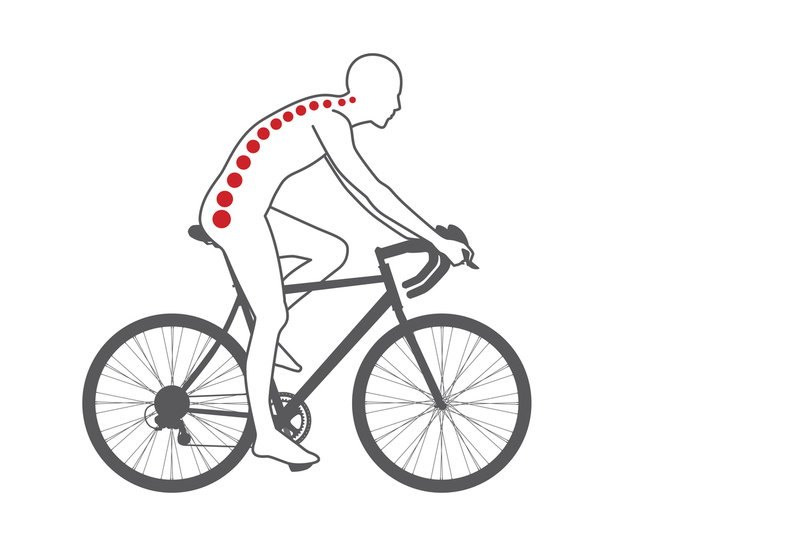 Posture too applies to the position of the body in all circumstances whether they be static postures like sitting and standing or dynamic postures during sport and exercise including weight training, running and cycling. But why is it so important I hear you ask? Well the body is a complex and quite brilliant machine and like any machine it is built by aligning the key components in such a way to perform its functions effectively and efficiently. Deviations from the norm can put excess strain on the machine making it difficult to function at its optimum level, therefore this can mean it has the potential to break down. Injury within the human body can manifest itself in many ways ranging from strains and tears of soft tissue (muscles, discs and ligaments), overuse injuries such as tendinopathy or tendinitis and muscle imbalances. An imbalance is where the coordinated actions of the muscles are affected whereby one muscle group is more dominant than its corresponding pair altering how the nearby joints move. Nobody likes to suffer injury and pain however if you are a keen sports person this can be the most frustrating time particularly if it prevents you from doing the activity you love or achieving the goals you may have set yourself. Therefore, working on ‘good posture’ and technique is an effective and simple way of preventing injury and I am sure the Life Leisure Personal Trainers would agree this can also improve performance and results from your training programme. “Good’ posture or posture neutral must be pain free and should not require significant effort to maintain and a common mistake people make is over correcting which can be hard work and even uncomfortable. The following tips can be a good start and can be applied to all positions and activities. Tilt the pelvis forwards to arch your lower back (don’t force this position) then tilt the pelvis back to flatten the lower back to lose the curve. Your neutral position is generally in the middle of these two extremes. Maintaining neutral, lift the sternum slightly and draw the shoulders back. Draw the lower abdominals in gently without straining to prevent the back from excessive arching. Gently draw the chin inwards to align the ears with yours shoulders. Maintaining a good posture during sport and exercise is possible. Initially changes will feel alien and it may require you to reduce the intensity of the activity temporarily however with repetition and consistency it can quickly be relearnt and incorporated into your life and functional activity. If you have any questions about implementing good posture pop in to one of my free drop in sessions at Curis Physio at Life Leisure Houldsworth Village or book a one to one session for a detailed assessment.